The British & Irish Lions' first meaningful contest against a Super Rugby side on Wednesday ended in defeat that left the tourists with plenty to ponder before they take on the All Blacks. The Lions were six-point favourites and looked solid in the set-piece while their speed in defence was notably stepped up. 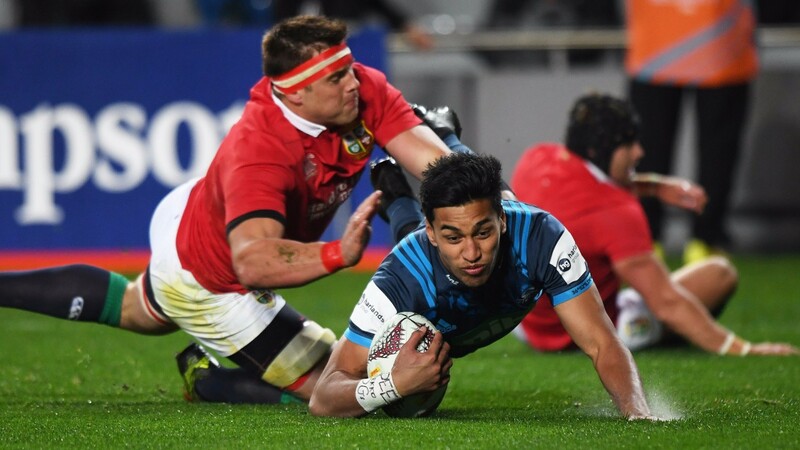 But while it looked as if the Lions might just have turned the screw through their powerful pack by the final stages, the Blues stole it with a moment of magic that put replacement fly-half Ihaia West in for a try under the posts. The Blues outscored the tourists by three tries to one, the Lions' only score coming in the first half from a line-out catch and drive ended by number eight CJ Stander. The victorious Blues lie bottom of the New Zealand Conference in Super Rugby, and the Lions' next opponents on Saturday are the team standing top with a perfect 14 wins from 14. The Lions had been three-point favourites for that clash but have been pushed out to outsiders, even though head coach Warren Gatland has signalled his intent to make wholesale changes again. Gatland rightly hailed the much-improved performance from Saturday's narrow victory over the New Zealand Provincial Barbarians. "It felt like there were lots of positives from today. Our set-pieces were good but we will need to impress on the team the need to focus on the penalty concession. If we can halve that it will make a big difference," he said. "We need to stop the offload game. We know how dangerous that can be. "That try on half-time was pretty unlucky. I think if we tighten up in a couple of areas to maintain that pressure we can get that momentum back. "We have improved from the opening game with the time we have spent together and we will improve again before Saturday."